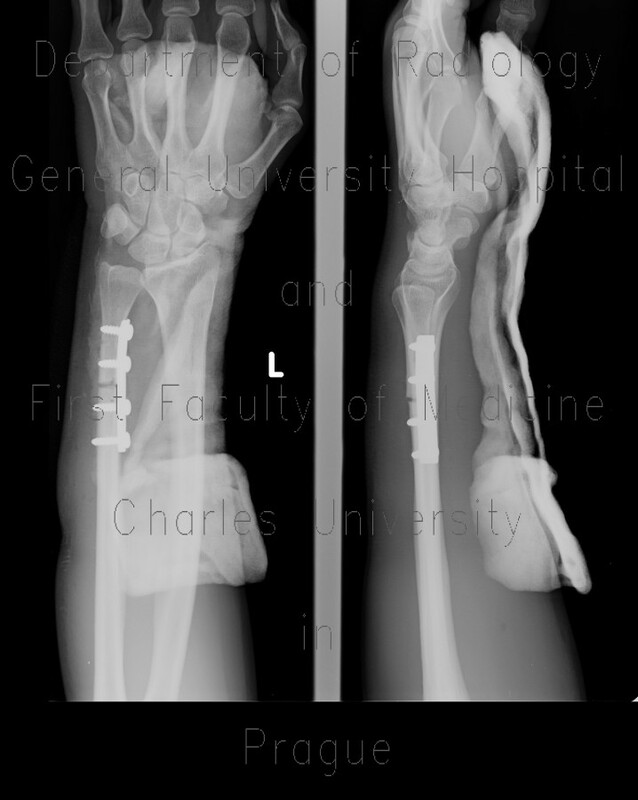 The first radiograph shows osteosynthesis of distal ulna with compression plate and four screws. The second radiograph shows consolidation and ossification of the periosteal callus. However, the fracture line remains visible, well-defined, it is widened and both fragments show sclerosis. The proximal screw is loosened with a lucent rim of bone resorption.